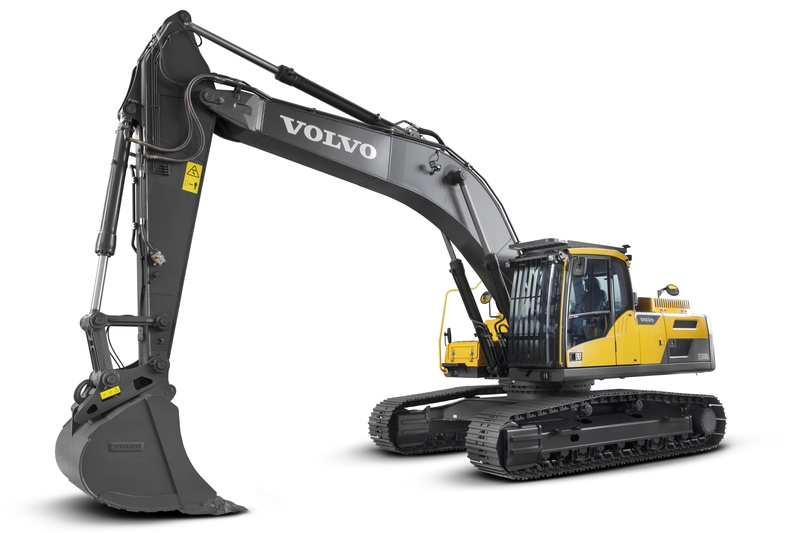 Excavators are kind of a heavy construction equipment consisting of a boom, dipper (stick), operator’s environment (cab) and the “house” rotating platform, which is situated on top of an undercarriage. Excavators may have wheel or track undercarriage. Although the main purpose of excavators is excavating, those machines are very versatile with a wide spectrum of applications such as landscape digging, civil engineering, pipe jacking, mining or demolition. Compact and medium-size excavators are also equipped with a backfill blade, which provides additional applications such as grading, leveling, backfilling or trenching. For maximum versatility, excavators also feature a wide range of hydraulically-powered attachments including shears, breakers, stump grinders, heavy-duty buckets, pulverizers, crushers, hammers, tiltrotators and grapples. Crawler or tracked excavators are well-suited for challenging environment as they can travel almost everywhere, but their movement speed is limited. On the other hand, wheel excavators provide easier transport around the worksite and better maneuverability, making them ideal for ground works, construction works, earthmoving and material transporting. Mini excavators, also called compact excavators, are valued for their compact dimensions, which allows them to access difficult work areas. Their weight rarely exceeds 8 tonnes. Mini excavators are designed for day-long working in crowded urban areas and they can be easily transported on trailers and trucks. Some compact excavators feature the zero tail swing, ideal for limited space areas. Moreover, there are lots of hydraulically-powered attachments expanding the range of applications such as soil augers, flail hedge cutters, werge mowers and saws. Therefore, mini excavators are suitable for landscaping, agriculture, horticulture, vineyards, general contracting, estate management, irrigation, drainage, fence, temporary building or crop support erection.